Multimedia Creative is an innovative multimedia design company specialising in digital design products and graphic design services for CD / DVD / hard drive or print. 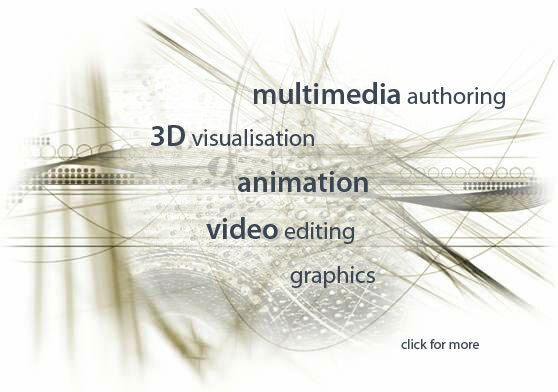 We produce interactive multimedia applications, 3D visualisation, presentation graphics, web design, video and animation. Combining creative and imaginative ideas with a strong understanding of communication, we will bring your projects to life.